Chicago Academic has compiled the following steps for you in order to get into college. Colleges love seeing students who challenge themselves. They want the most competitive students so take the highest level classes you are comfortable with. Join organizations, clubs, or sports now and stick with them throughout high school. Colleges like commitment. Do some volunteering or find a job that demonstrates your responsibility and contribution. Befriend teachers. You are going to need them if you ever need a letter recommendation. If you take honors level biology, think about taking the SAT Subject test for biology. Start getting ready for the ACT by taking the PLAN test which will help you assess how ready you are for it. Start getting ready for the SAT as well by taking the PSAT. Take the lead in extracurricular activities. Colleges love leaders. If your are taking honors level chemistry or physics, think about taking the SAT Subject test for those subjects in the Spring. After taking the PLAN and PSAT exams look at your results and determine what areas you need to focus in for the ACT and SAT exams. If the National Merit Achievement is within grasp, begin preparing for the Junior year PSAT. Take AP classes that you believe you can get a B or higher in. Get the National Merit Scholarship by taking the PSAT and determine how ready you are for the ACT. Start test prep instruction for ACT (or SAT, if you do well in the PSAT) in the fall. 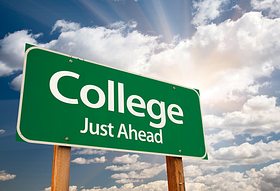 Take the ACT in February in order to get ahead in the college application process. Begin deciding which Colleges best fit you by doing research and visiting. If you haven't taken it yet, take the ACT in April and/or the Prairie State Exam, which includes the official ACT exam. Retake the ACT in June if you believe you can get a higher score. In the summer before senior year begins, find a meaningful job, volunteer opportunity, or internship to demonstrate your maturity and seriousness. Get those college applications and essays ready. Take any AP exams you believe you can score a B or higher in. Colleges love to see hard work still in senior year. Apply to universities and colleges for either early or regular admission. Choose a college that best fits your values and expectations.